Yey... the Olympics are finally here. The opening ceremony in London, last night was AMAZING. So much so that I dreamed about it all night... The visual imagery was so strong, that I couldn't get it out of my head. Way to go Danny Boyle! In honour of the Olympics, I am baking Luca's favourite cake-ey - and also, just because he loves it, and I am trying to entertain him in this first week of holidaying - and as Luca has taken on everything sporty, I am trying to fuel his energy. I seem to make this cake well, as it's a staple in our household, but it never EVER turns out looking aesthetically pleasing. 1. Heat the oven to 180C/fan 160C/gas 4. Butter and line the base of a 20cm round cake tin. Beat the butter and caster sugar in a large bowl using an electric hand whisk until pale and creamy. Add the lemon zest (reserving some for decoration) and mix well. Whisk the eggs gradually into the butter mixture, beating well between each addition - don't worry if it curdles. 2. Sift together the flour and baking powder and fold into the cake mixture using a large metal spoon or spatula. Add the ground almonds and 3/4 of the lemon juice and fold until thoroughly combined. Spoon into the prepared cake tin and bake for 1 hour 15 minutes or until a skewer inserted into the middle of the cake comes out without any raw mix on it. 3. Put the cake tin on a wire rack to cool for 10 minutes. 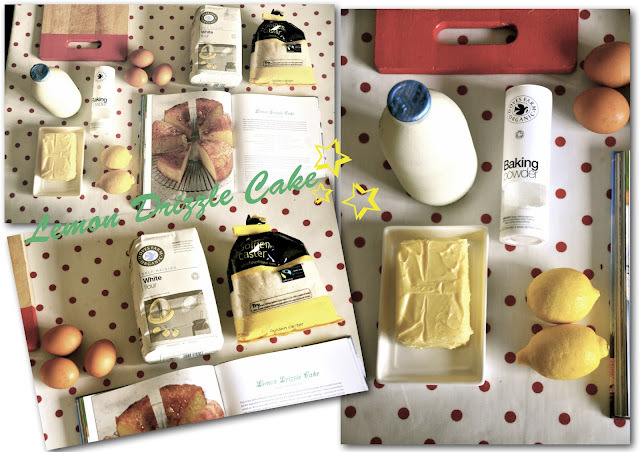 Meanwhile mix together the remaining lemon juice and zest and enough icing sugar to make a runny icing and then drizzle over the top of the cake. Cool in the tin for a further 30 minutes and then remove from the tin and cool completely before serving. 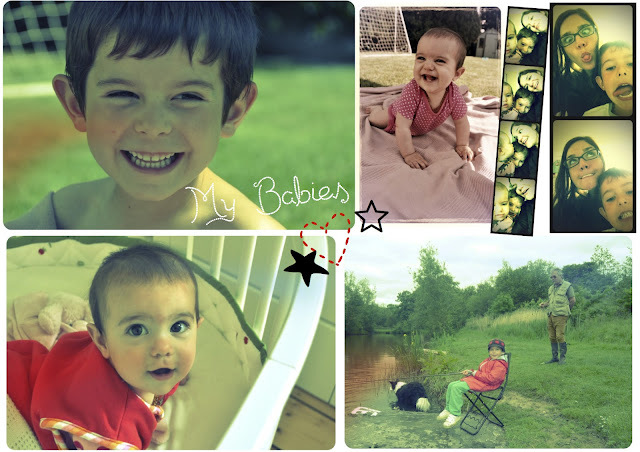 Just because I love them so much, here is a little collage of my little scrummy, yummy, funny babies. When I look at these photos, I am just about tempted to have another four children! Delicious sounding cake (very pretty cakes are overrated) and even more delicious children.